We have just entered the cooler autumn months, and NOW is the time to prepare your home for winter. Here are some simple tasks you should do now, so your home is ready for the cold. Cool weather curtains. Those trendy sheer curtains are perfect for summer weather, but they are not good when it comes to keeping the heat in and the cold out. If your windows are lacking in the right curtains, invest in some insulated or layered curtains or roller blinds. Introduce layers of different textures for your bed. Chunky knitted throws and plush velvet blankets with a few cushions can make a perfect area to snuggle into. In winter it’s always nice to have a soft, warm place to snuggle down and catch up with a good book or watch TV. If you like to change your colours to match the season, now is the time to say goodbye to the whites and light colours of summer and embrace some warming tones – terracotta, blush pink and olive green create cosy and inviting spaces away from the cold outside. 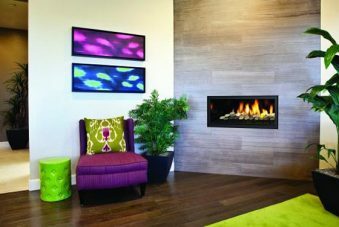 Is it time for a new gas fireplace in your Sydney home? How often you use a heater, and the size of the space you need to keep warm will determine which type of heater is best for you. 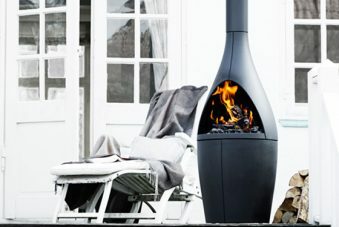 * ELECTRIC HEATERS are a portable and cheap option – great for those who are renting and are perfect for smaller rooms. 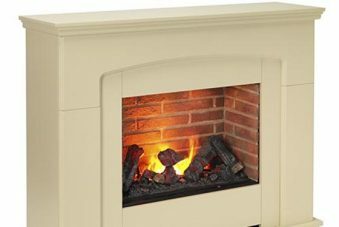 *GAS FIREPLACES are the best option for those who want to heat larger areas in their homes for longer. *REVERSE-CYCLE AIR CONDITIONERS – are more costly, to begin with, but they can end up being worth it as they are fairly economical for the amount of heat they generate. Cover up your hard floors – if you have tile, hardwood, laminate, lino or concrete floors, rugs are an effective, easy and relatively cheap way to cosy-up your home in winter. Hardwood floors are not only chillier in winter they also don’t help to hold in any heat. If you don’t have underfloor heating now is a good time to invest in a rug or two. Clean and service your air conditioner – you should clean or replace your air conditioning systems filter or filters every month or two during the seasons each year. If your air conditioner is in more frequent use, your filters will need more constant attention, or if you have fur shedding pets in the house or the house is subject to very dusty conditions. Keeping your air conditioners filter clean, or replacing old filters can lower your air conditioners energy consumption by 5 – 15%. Stock up on your firewood – if you are lucky enough to have a fireplace, stocking up on wood NOW, and keeping it dry will save you the panic if winter comes earlier than expected.